With a stay at Calderwood Inn in Healdsburg, you'll be within a 15-minute drive of Kendall-Jackson Wine Estate and Gardens and Raven Performing Arts Theater. The front desk is staffed during limited hours. Free self parking is available onsite. With a stay at Country Inn in Santa Rosa, you'll be within a 15-minute drive of Kendall-Jackson Wine Estate and Gardens and Luther Burbank Home and Gardens. Free self parking is available onsite. With a stay at this vacation home in Santa Rosa, you'll be within a 15-minute drive of Annadel State Park and Spring Lake Park. RV/bus/truck parking is available onsite. 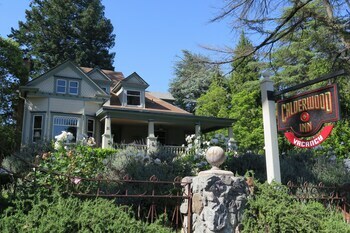 Located in Sebastopol, Daisy's Guest House is a 5-minute drive from Occidental Arts and Ecology Center and 7 minutes from Western Hills Garden.